A contract dispute emerged Tuesday as a second threat to planned dredging this winter of the lower Snake River navigation channel. 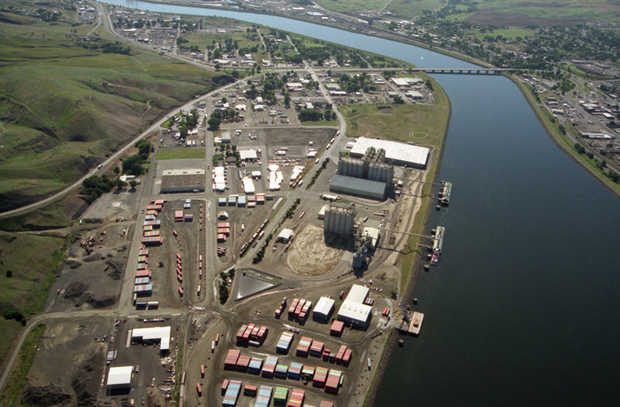 The U.S. Army Corps of Engineers already faces a lawsuit filed by the Nez Perce Tribe and a coalition of environmental groups that could stop or delay the effort to remove 400,000 cubic yards of sediment from the river near Lewiston and Clarkston. But the agency must also deal with a challenge to its bidding process. Last month, the corps' Walla Walla district awarded a $6.7 million contract to American Construction Co. of Tacoma to do the work that could start as early as Dec. 15. An unsuccessful bidder has filed an administrative appeal that could delay the planned start of the work, which can only be done between Dec. 15 and Feb. 28 when it is least likely to cause harm to threatened and endangered salmon and steelhead. Because of the bid appeal, attorneys for the corps have been unable to inform plaintiffs in the lawsuit or U.S. District Court Judge James L. Robart at Seattle when the work will actually begin. The tribe and environmental groups have asked the judge to issue a temporary injunction that would stop the dredging until the case can be resolved. On Tuesday, Robart scheduled oral arguments for Jan. 2 related to the requested injunction. In that order, the corps attorneys are required to update the corps by Dec. 15 on the status of the contract dispute and the planned start date. "If they say they would like to begin dredging before the hearing, we have the opportunity to ask for a temporary restraining order," said Steve Mashuda, an attorney for the law firm EarthJustice, which is representing the environmental groups. Officials from the corps did not respond to a request for comment on the contract dispute Tuesday and it is unclear how much time the contractor will require to complete the work. In 2006, the last time the navigation channel was dredged, a contractor working 24 hours a day didn't finish removing sediment until the last day it was permitted to work. However, the dredging crew took a 10-day break starting a few days before Christmas and lasting through New Year's Day. The contractor removed about the same amount of sediment in 2006 as is planned for removal this winter.